If he does sign on the dotted line, Costner would join already-onboard stars Jessica Chastain and Idris Elba. While no ink has been put to paper just yet, the Deadline item hints that Costner could play the father of Chastain’s character, the Molly lending the film its title. 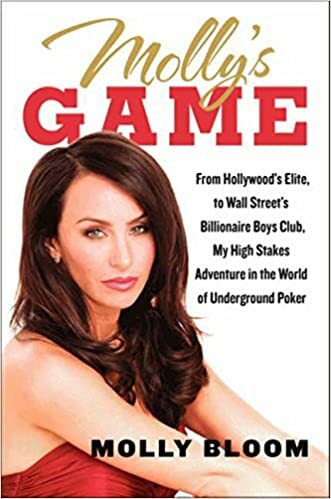 That’s Molly Bloom, a “young, charismatic, Olympic-class skier” that really did lord over a floating high-stakes poker game during the late 2000s before getting apprehended by 17 armed FBI agents in the dead of night. Prior to her arrest, her poker game was a multi-million-dollar operation, including everyone from pro athletes to Hollywood screen idols to the Russian mob. Elba portrays her lawyer, who takes her side when no one else would and discovers that there’s more to the woman than the headlines would suggest. Sorkin’s script directly adapts Bloom’s tell-all memoir, the cover of which looks like this, and could double as a magazine advertisement for a series called The Real Housewives of Women Who Run Shady Big-Money Poker Games. With the prospect of Sorkin in the director’s chair exciting studio executives, the project has already been purchased by STX and stars are now flocking. As shooting’s scheduled to get up and running next month, Costner’s expected to render a decision soon, with more cast to follow. And only time will tell which Aaron Sorkin will show up to set, too: the audacious motormouth who gave us The Social Network, or the guy responsible for The Newsroom.